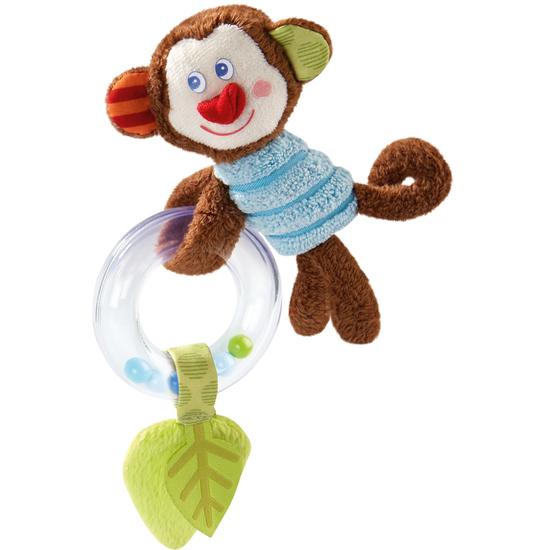 Compact and perfect for traveling, the clutching toy Lino Lemur offers loads of fun. A joyfully rattling plastic ring with colorful beads and a large leaf provides crackling excitement. And then there’s the many colors, shapes and textiles for profound tactile discovery.